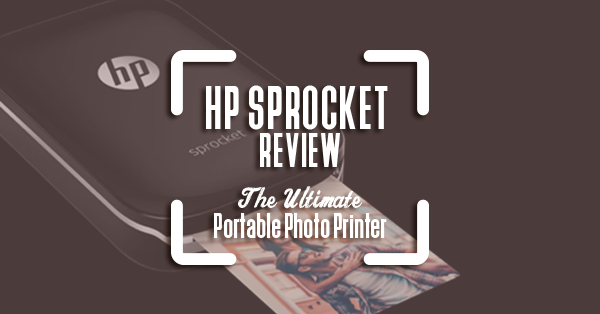 HP Sprocket Review | Is This The Ultimate Portable Photo Printer? HP is one of the most popular printer brands in the world. They are known for their impeccable printing quality and practical innovations. Now, it is exciting for consumers to know that they have already ventured into portable printers. 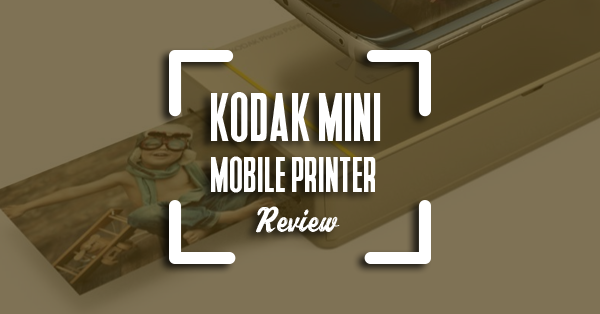 Mobile printers are a growing trend in this age of modernization because it gives users the ability to print the images on their phones instantly. As HP puts it, this new technology is about re-inventing memories. 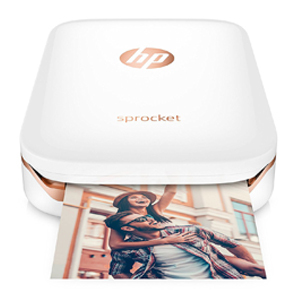 Of course, the HP Sprocket portable photo printer certainly does that. 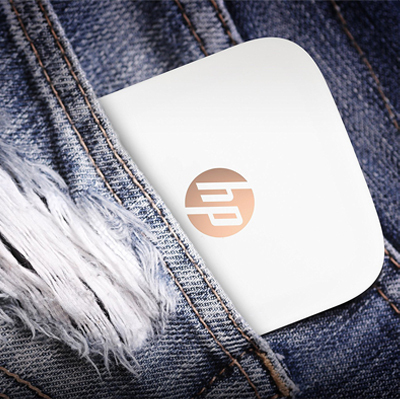 The HP Sprocket is an easy-to-use device that you can take around anywhere. At just ⅓ of a pound, and similar in size to a deck of cards, it is one of the most lightweight mobile printers available. The device is very easy to set-up and use, and the kit comes complete with everything you need. Not only do you get the printer but also a set-up card, ten sheets of sticky paper, a user manual, and a micro-USB cable for charging. You can easily download this device’s application from the app store of several operating systems. This is a fun device to have in your pocket. To give you more details about the product, I’ll be discussing its different features in the article below. 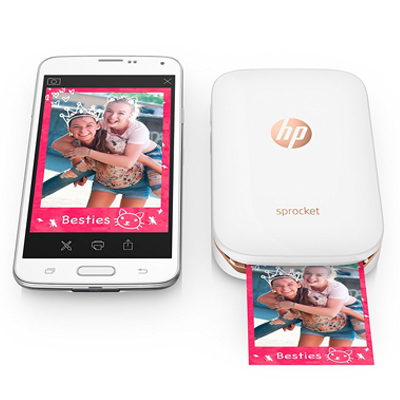 Read on if you want to know more about the HP Sprocket portable photo printer. As with other portable printers, size matters. The smaller the size, the better that is. The HP Sprocket weight only six ounces, and has an average dimension of 2.95 x 4.51 x 0.91 inches. Hence, it is light and more compact than other available models. Transporting this device should be the last thing you worry about. In fact, the HP Sprocket is so small it can comfortably fit in your pocket. It also fits seamlessly into your purse or handbag. So, carrying it around is a breeze. Having a mobile printer of this size is efficient for users who most likely have an on-the-go lifestyle. It gives you easy mobilization from one adventure to the next. Using it isn’t just limited to the city, but you can also take it on hikes, to the beach, museums, and other similar trips. The portability of this photo printer is something you never want to miss out on any important moment. You can always immortalize it with a photo. Instead of using ink, the HP Sprocket uses Zink Imaging which is similar to the innovation introduced by Polaroid - the Zink Technology. They use a specialized paper that has multiple layers of dye embedded in them. The printer then emits heat, which activate these molecules. Once the paper is loaded, and the printer received the images coming from your smartphone, the colors will change to create a copy of the image. Once done printing, you only need to let it dry for a few seconds, and your photo is ready to use. This kind of printing is convenient because it allows you to capture the moment right as it is happening. The whole process won’t take longer than 45 seconds which is 20% faster than the other models. The paper used also has an easy, peel-back feature to the photo doubles as a sticker. If you’re looking for an smooth way to create souvenirs or tokens to give away, or you’re looking at making a scrapbook, you should take a look at this product. However, one downside of the HP Sprocket is the photos come in only one size - 2 x 3 inches. Personally, I think this is too small for my preference because I could not fully appreciate the picture. Overall, the image was acceptable, but some parts were grainy with quite a lower resolution than I would have wanted. The colors were also a bit skewed and didn’t match my actual photo. I might be nitpicking here and there, but there isn’t much to complain about other than this. 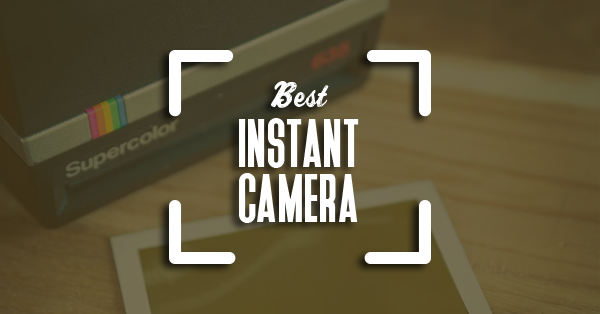 Anyone that has owned or used a Polaroid knows that the image quality and depth aren't their strong suit. If you can live with this and aren’t looking for professional-looking photos, this product is going to be exciting to have. One unique feature of this model is it allows you to access the photos on your Facebook or Instagram account. Once you open the application, log into your social media account and choose the photos you want to print. Afterward, you simply download the images, and they will be ready for printing. Many of us have pictures on our social media platforms that we want to print. Often time, our friends tag us in a photo. Having this action simplifies the process of searching for your pictures and saving them on your camera roll. 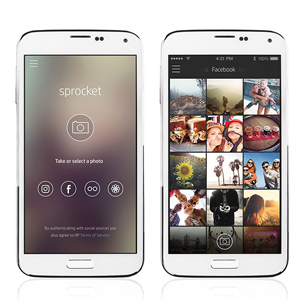 You can directly sync the HP Sprocket app with your social media accounts. In the same way, you are also able to upload the pictures that you took. It’s a great way to save photos that you take and artworks that you’ve made using this app. This also serves as a memory bank for all photos that you’ve printed. This is a quick and easy way to expand the uses of this device and enjoy more in the process. 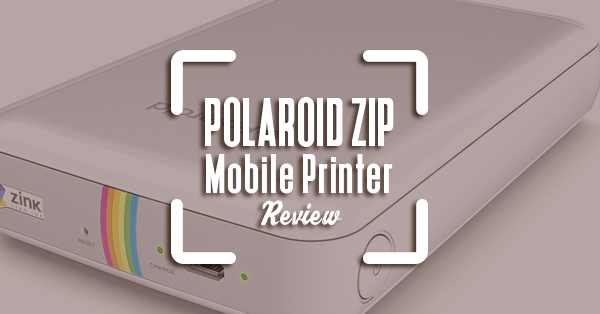 Like many mobile printer apps, this one also allows you to edit the photos that you take before printing them. After taking the picture, the app directs you to an edit page. Here, it does not only give you the ability to modify the brightness and color contrast, but you can also add text, funny emojis, stickers, and even make a collage. This is an excellent way for you to unleash your creative side when preparing for your images to print. If you are like me, I bet you also enjoy editing your photos. After all, most people always want to look their best in a photo and place themselves in the best possible environment, right? The photo printer gives you exactly that power. Some smartphones yields low-resolution images. Hence, it requires some slight editing can improve minor details. In turn, you won’t have to keep taking the same picture multiple times. 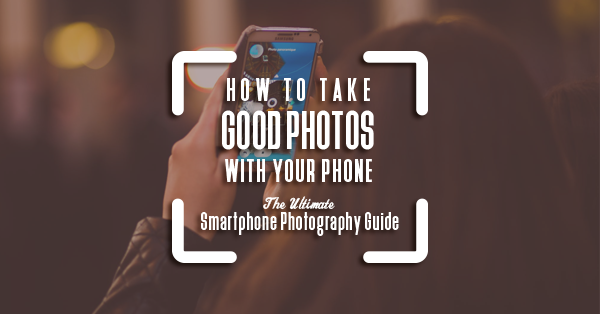 Most importantly, having this feature will help you personalize your photos. If you love emojis and smiley faces, there are a lot of examples to choose from. If you want to add a mustache or rainbow in your picture, you can do that. You can even add a short message to your photo and turn it into a heartfelt greeting. There are a lot of different ways to design this. But one thing is for certain; you can quickly make the photos that you take your own. One of my favorite things about the HP Sprocket is its very simple to use, even for users who would not consider themselves techy. The whole process is pretty rudimentary. Take photos, edit them, and then print. After the printed photo comes out, you can use them to design your room or other personal belongings or give them as a gift to your friend. Either way, I would say it is a device that anyone can use. If you want to take, design, and print a lot of photos, then you are going to love the HP Sprocket. It’s a great way to release your inner artist self by personalizing each photo's design. Also, if you want a device that is easy to carry around in all your adventures, you’re going to enjoy its lightweight feature. This is a great companion to bring. 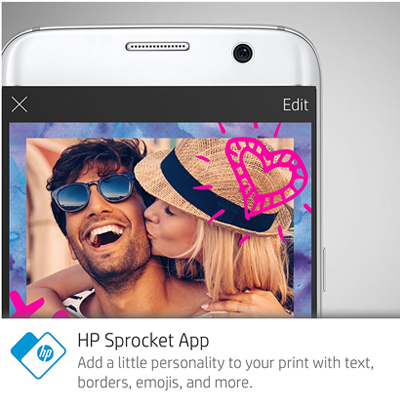 Again, if you’re very particular with image quality and color accuracy, the HP Sprocket may not be for you. You might get very annoyed with this model. The size of the picture can also be very irritating for some users. It is quite small and cannot be used for anything outside of personal or DIY projects. Lastly, be mindful that it can only make a total of 30 copies for every full charge. While it works perfectly okay for personal use, it might be too constraining if you’re planning to use this product for commercial purposes. All in all, considering the size and the price you pay, I would say that this is a product worth the consideration to purchase. It’s a fun way to make your digital memories come to life, and even add your personal touch to each photo. 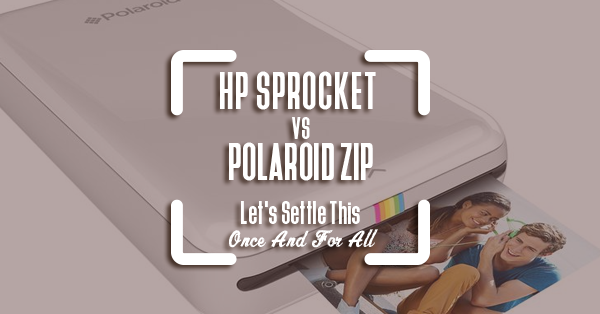 If what you are looking for is the function of a Polaroid camera with a modern twist, then the HP Sprocket portable photo printer is a perfect device for you.